THE latest boat disaster off Indonesia is proof the Gillard government’s policies are risking lives, lawyers acting for survivors of the Christmas Island disaster say. A wooden boat packed with up to 250 asylum-seekers sank off Java yesterday, but by today only 87 had been rescued, with fears held for many more. 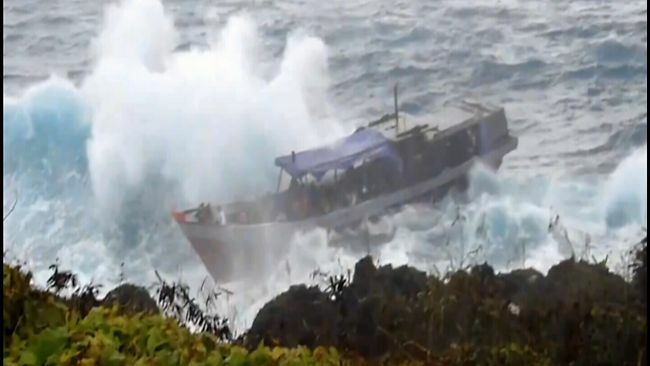 George Newhouse, of Shine Lawyers, said he had seen the suffering of the survivors of the SIEV 221 tragedy at Christmas Island a year ago, in which up to 50 asylum-seekers died when their wooden boat crashed into rocks after losing engine power. He said heavy penalties for people-smuggling meant the smugglers often hired untrained “stooges”, many of them children, who had no idea what they were doing. “To make matters worse, the government’s policy of confiscating boats means the vessels which are used to transport asylum seekers are often unseaworthy – with disastrous results,” he said. “Just a year ago we saw the worst Australian shipping disaster in living memory when the engine broke down on SIEV 221 and the young unskilled crew had no idea what they were doing or where they were going. Mr Newhouse said the government’s currently policies urgently needed to be overhauled to ensure that politics wasn’t putting lives at risk. Refugee Action Coalition coordinator Ian Rintoul said Australia’s decision to criminalise people-smuggling had played a role in the tragedy. “Australia’s push for Indonesia to detain asylum-seekers and to criminalise people smuggling directly leads to the kind of tragedy we’ve seen yet again,” he said. “If the government is worried about people losing their lives at sea, they should decriminalise people-smuggling so that the voyages can be planned in open and seaworthy boats. Mr Rintoul said any sympathy the government or opposition expressed for the people who died in the latest boat tragedy would amount to ���hypocrisy” until the parties adopted humane policy.